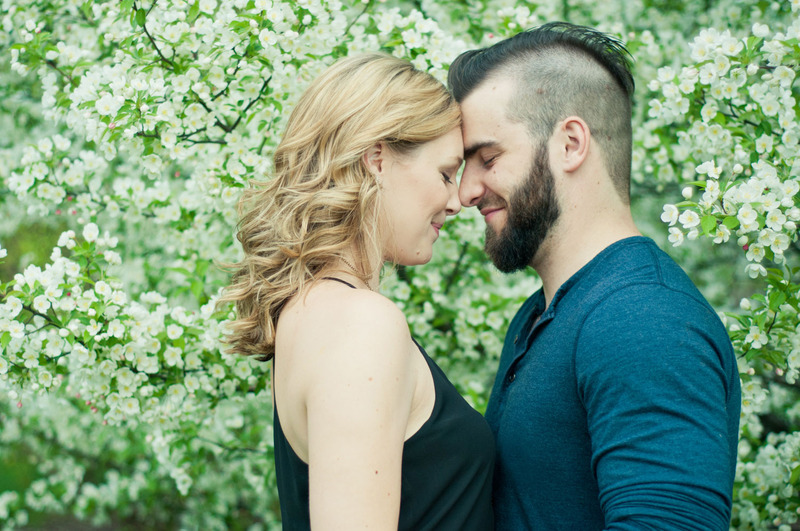 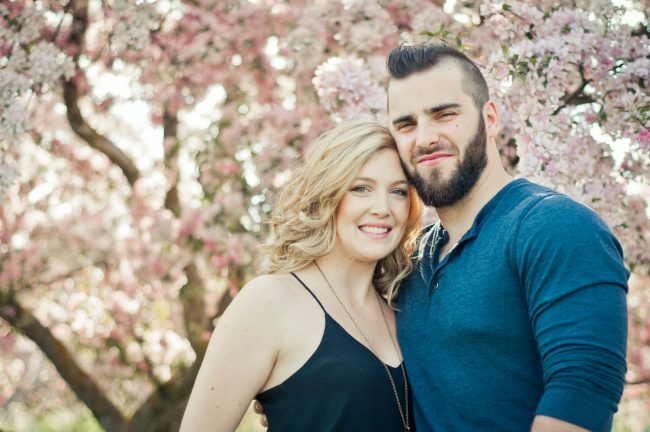 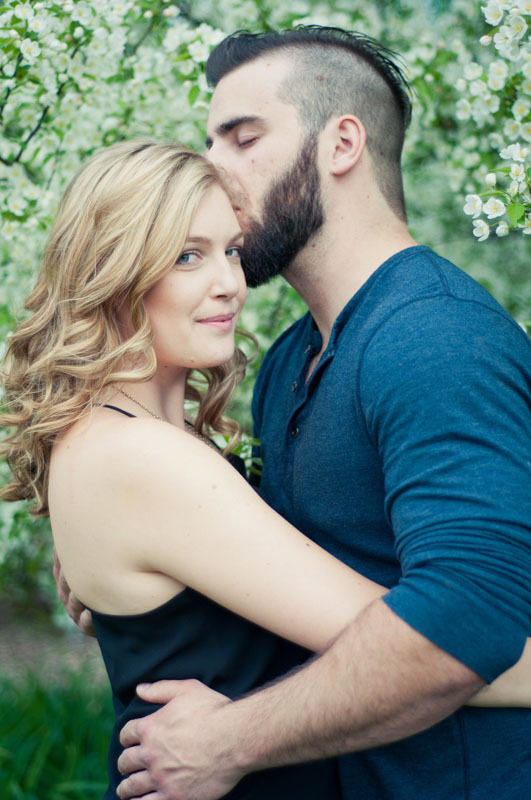 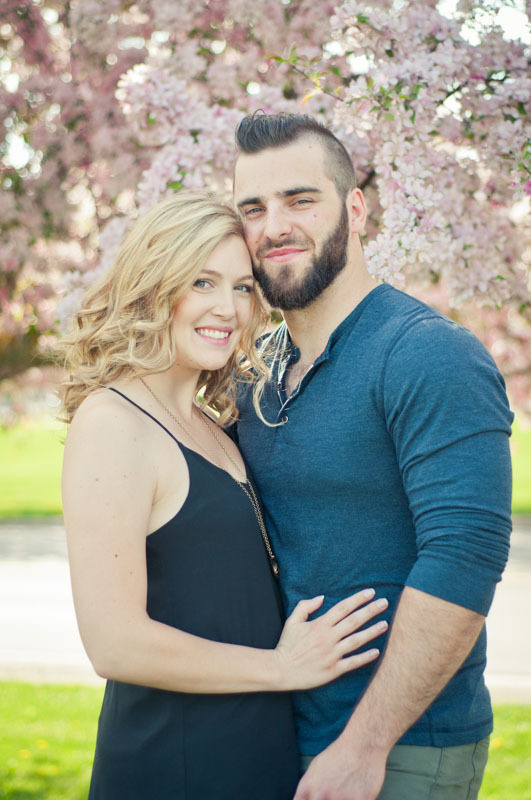 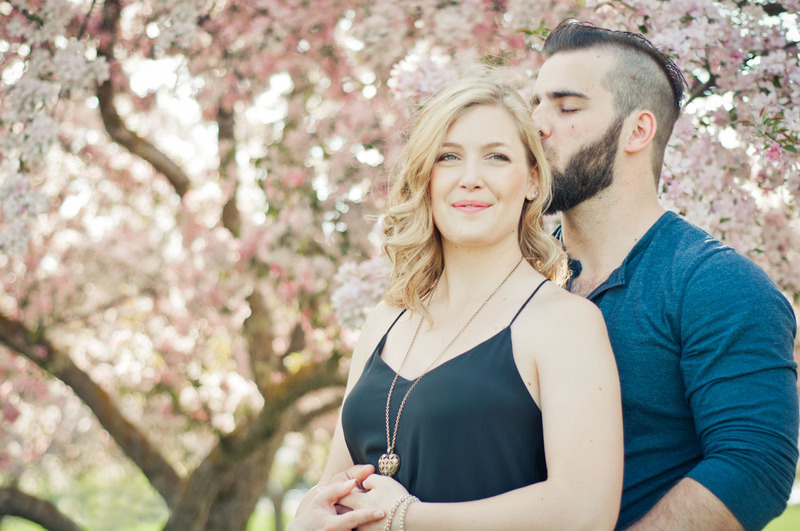 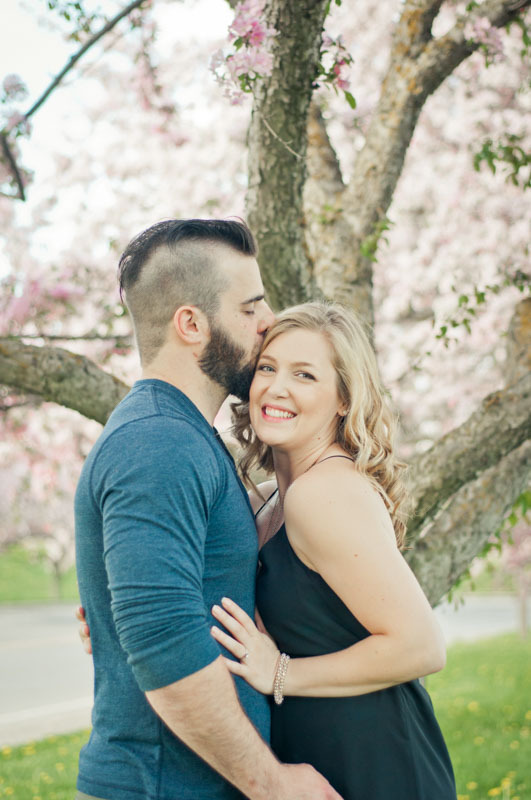 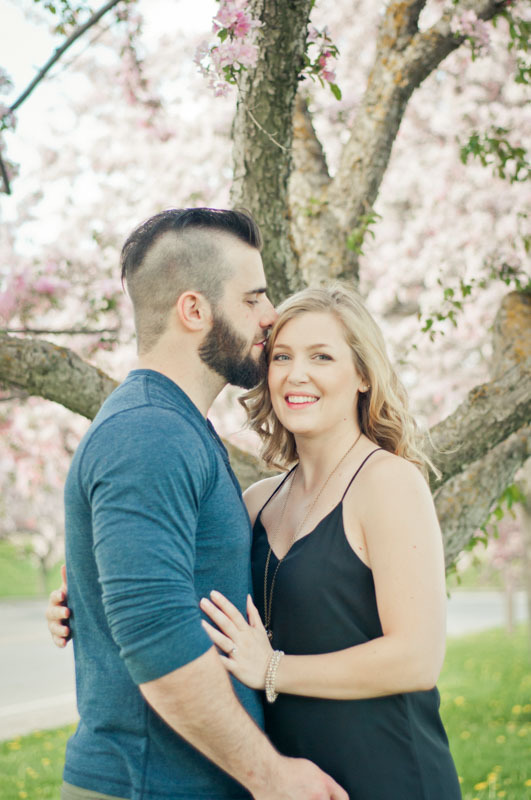 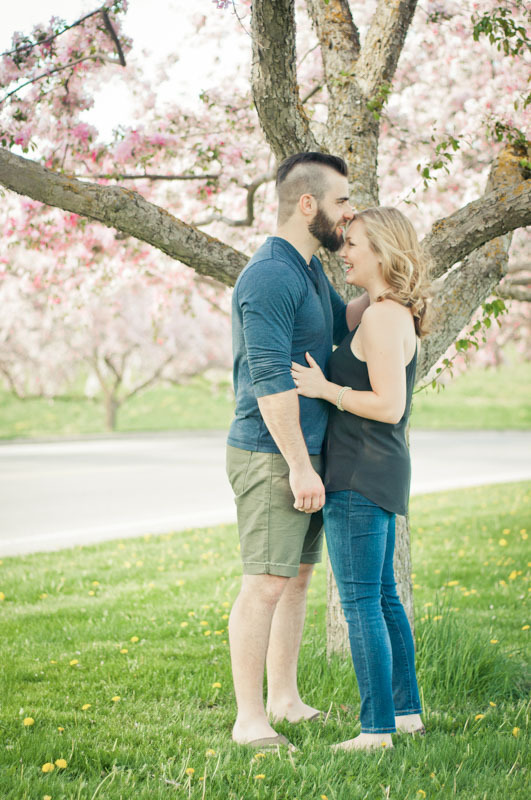 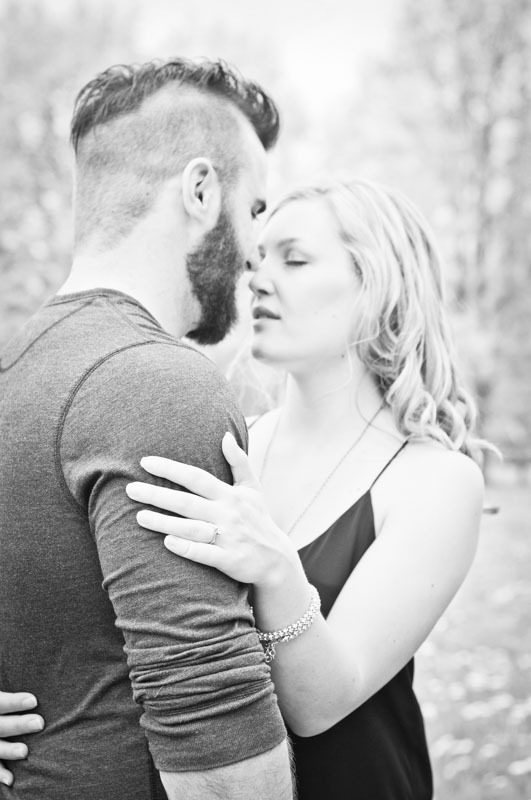 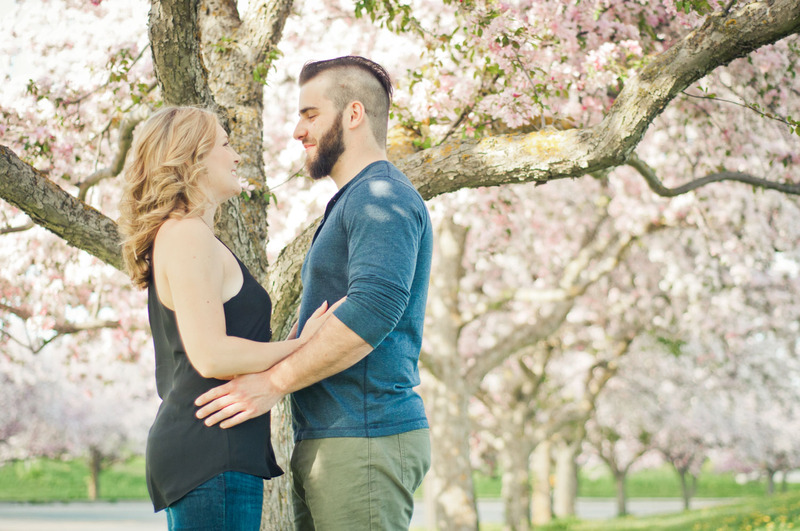 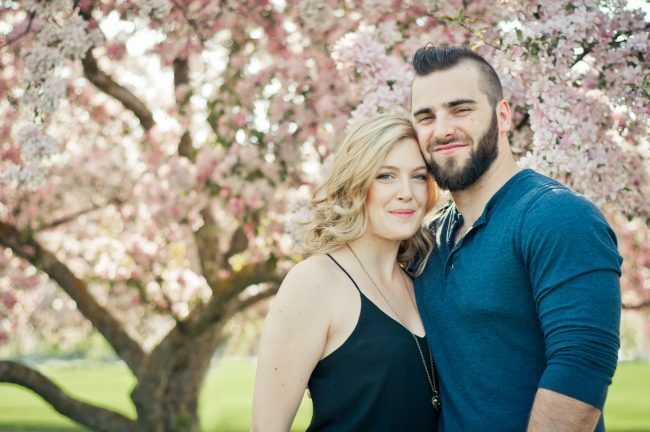 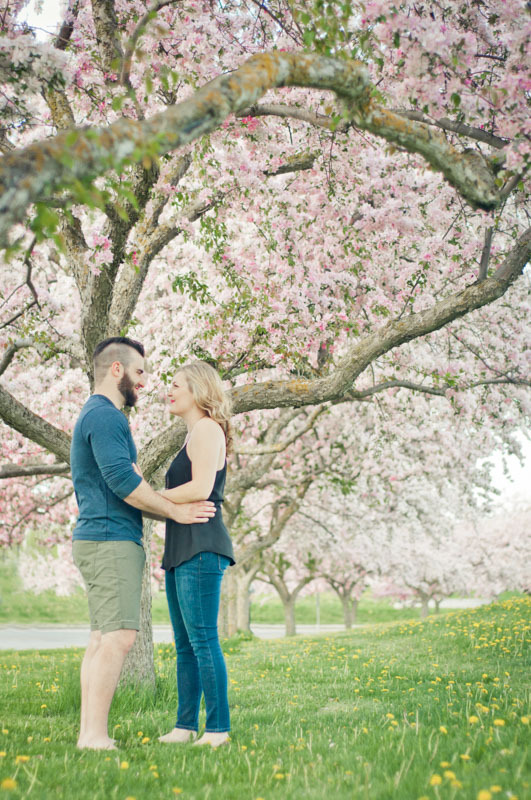 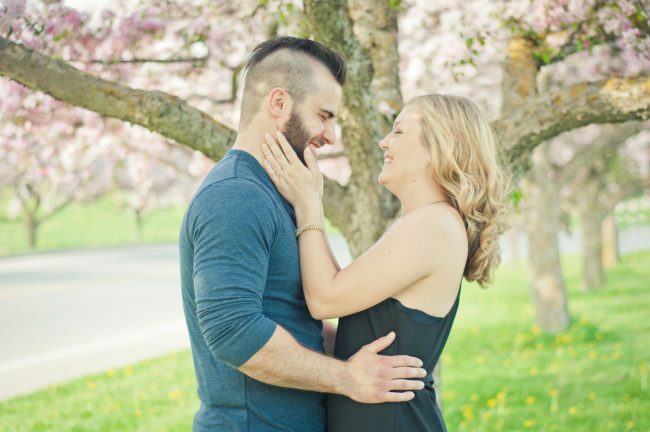 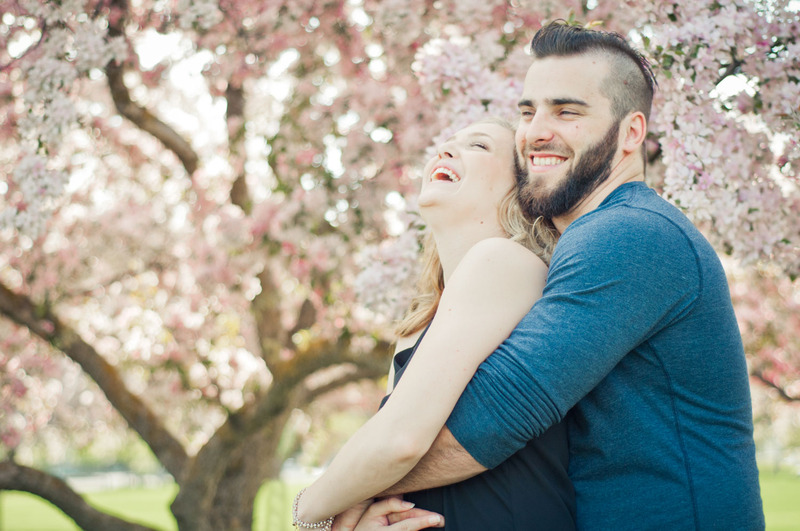 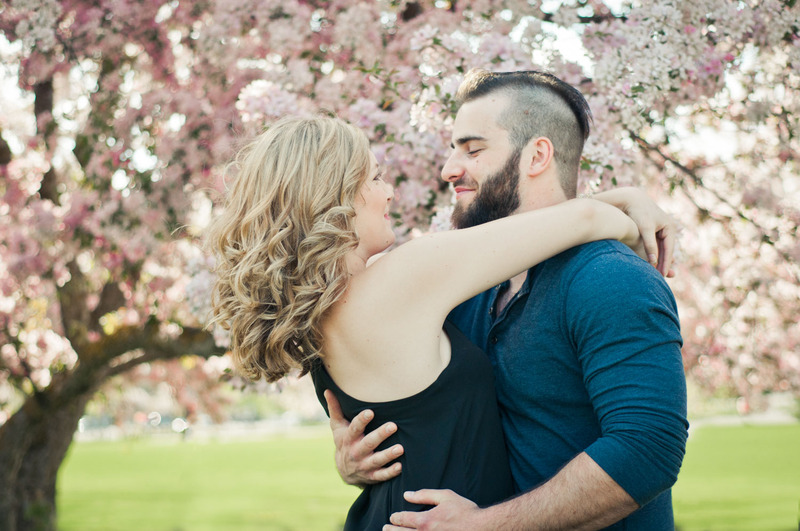 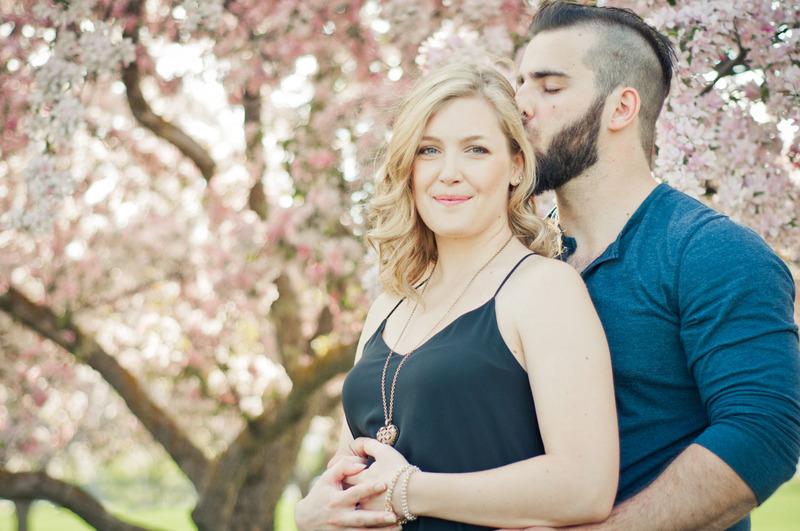 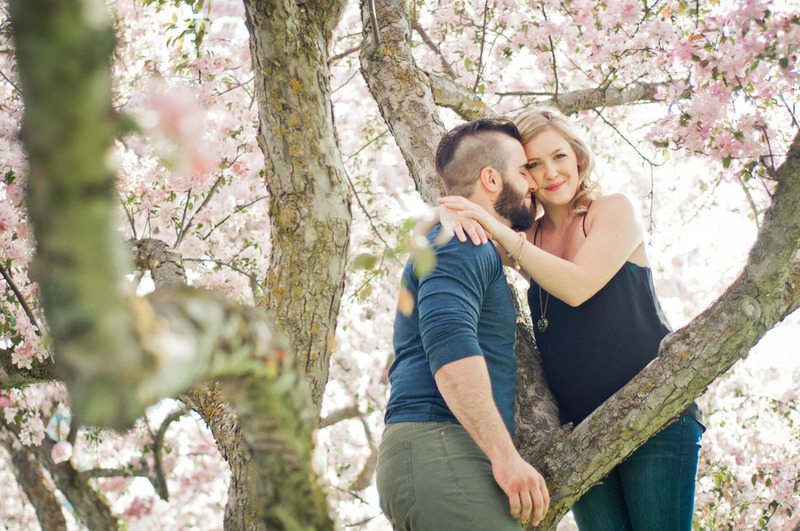 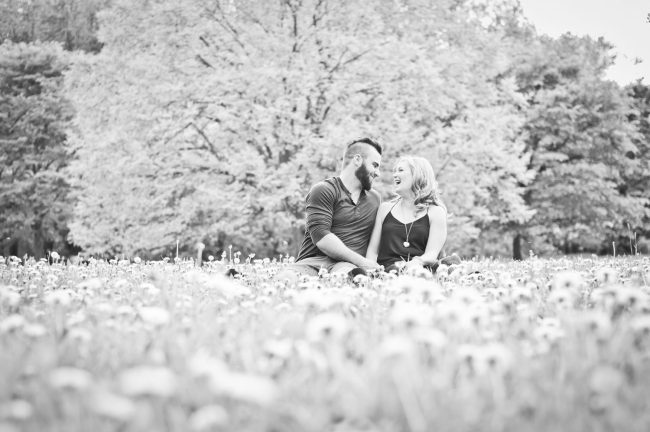 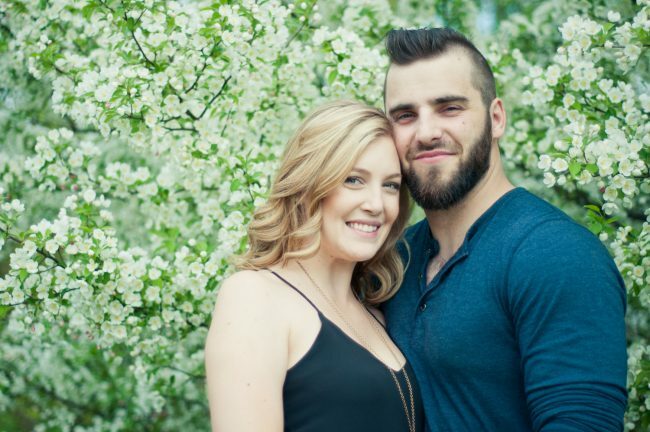 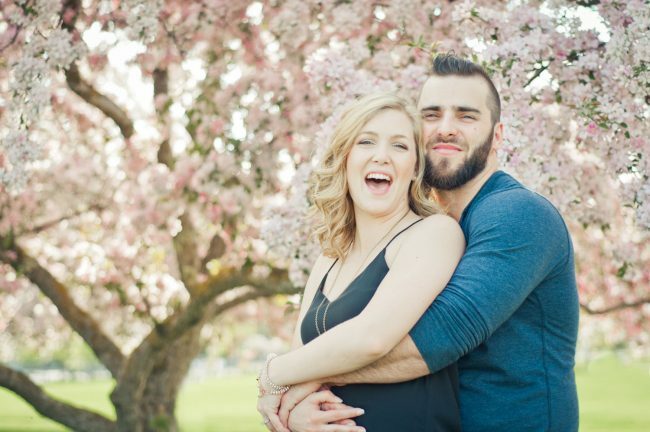 Guelph Engagement Photographer | Tara + Darren | Ema Wedding Co. 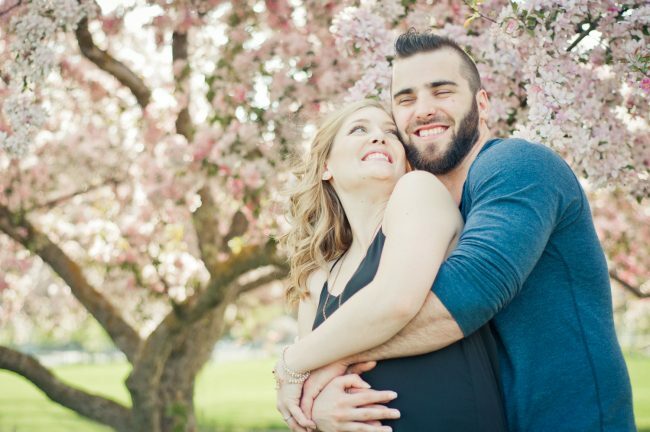 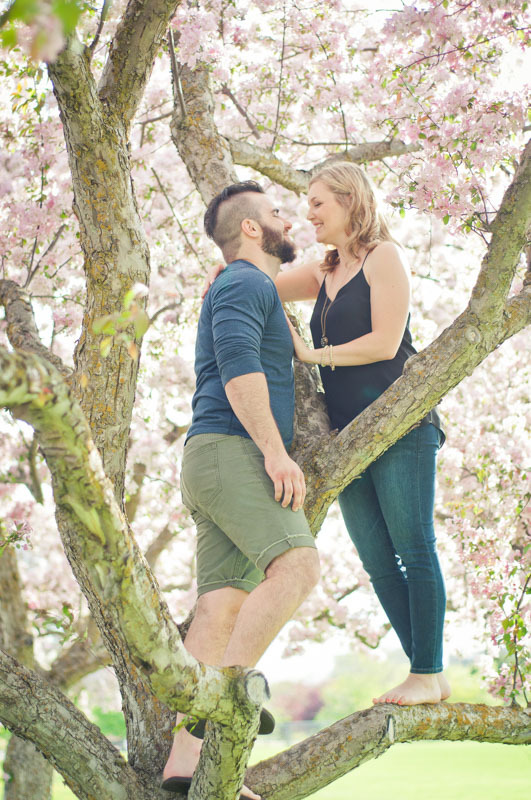 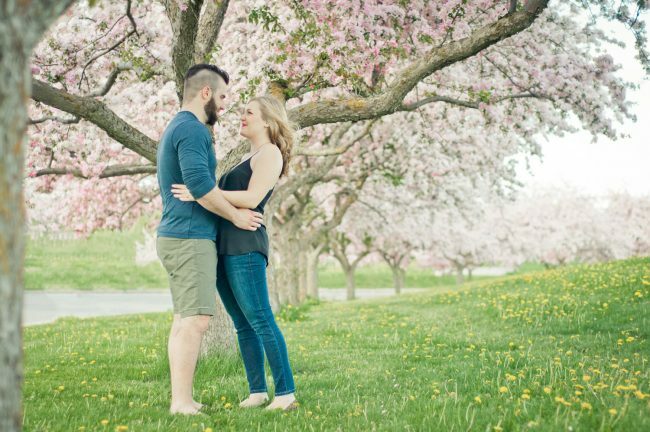 This Guelph engagement photoshoot features Tara and Darren – a phenomenal, fun-loving couple who wanted a spring engagement shoot to compliment their late summer wedding. 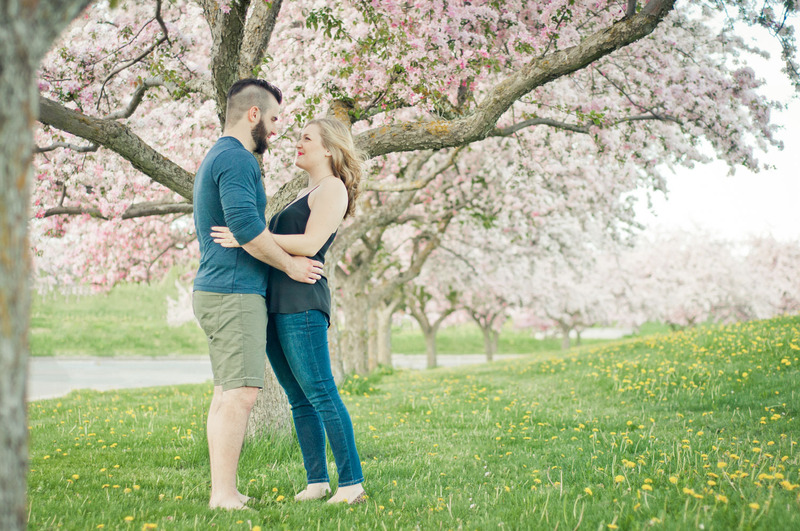 We aimed for the apple trees to be in bloom on campus at the University of Guelph, and we timed it perfectly! 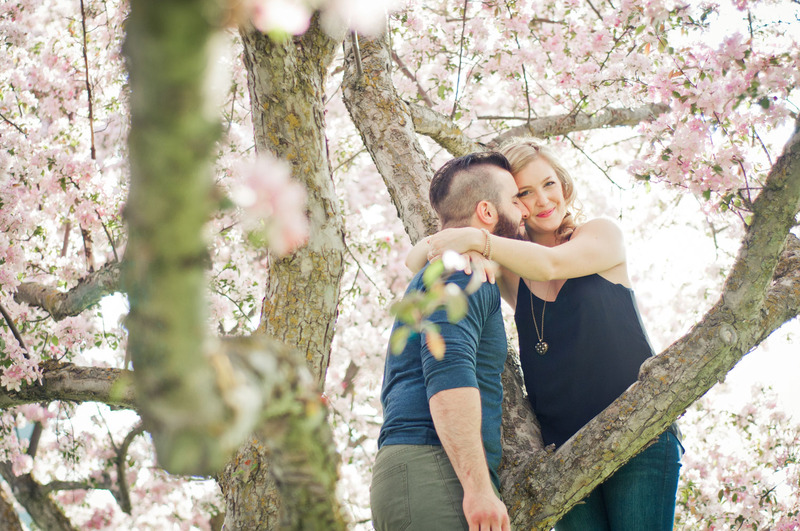 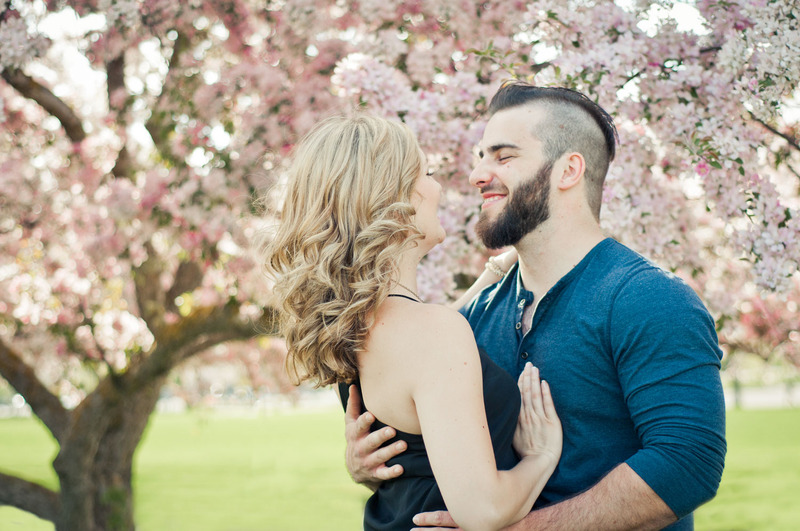 The trees were stunning and in full bloom – making this shoot extra special. 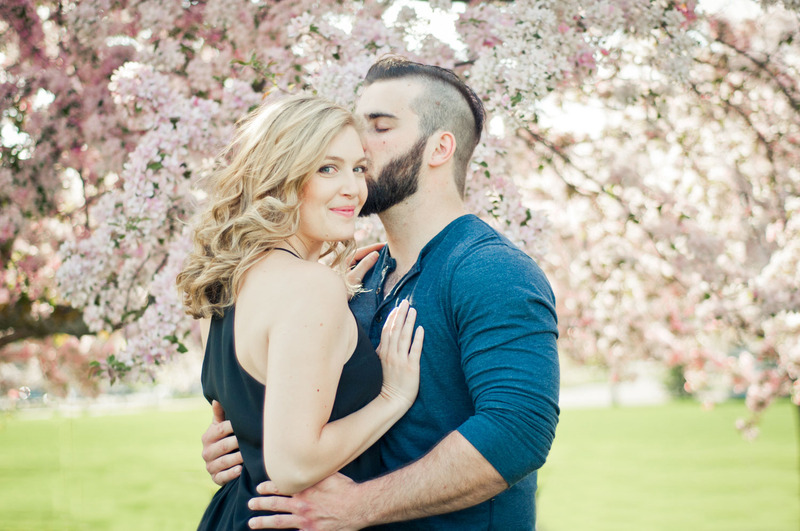 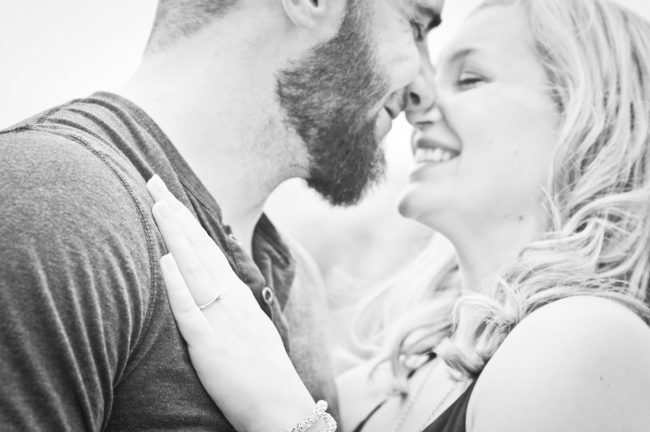 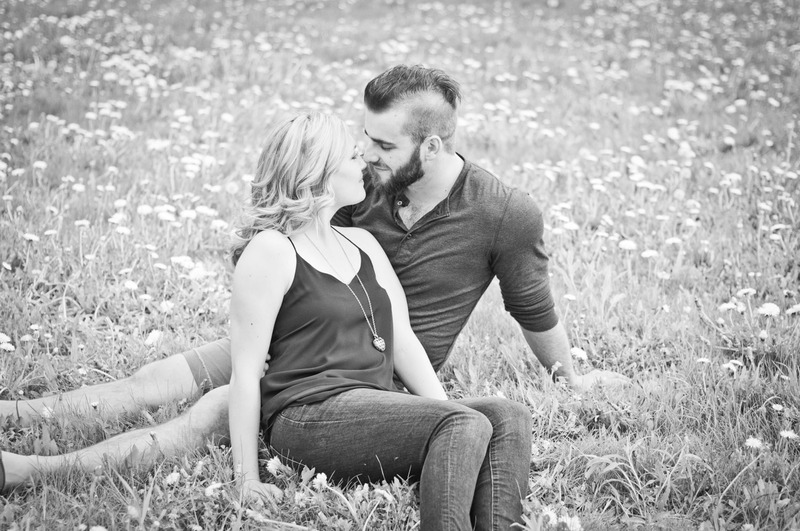 I absolutely adored working with this amazing couple!